Finally, I’m back. I am re-committing to blogging about my everyday and unique food experiences, posting recipes and photos, and sharing tips on cooking and eating well. Here goes….It feels great to be blogging again. 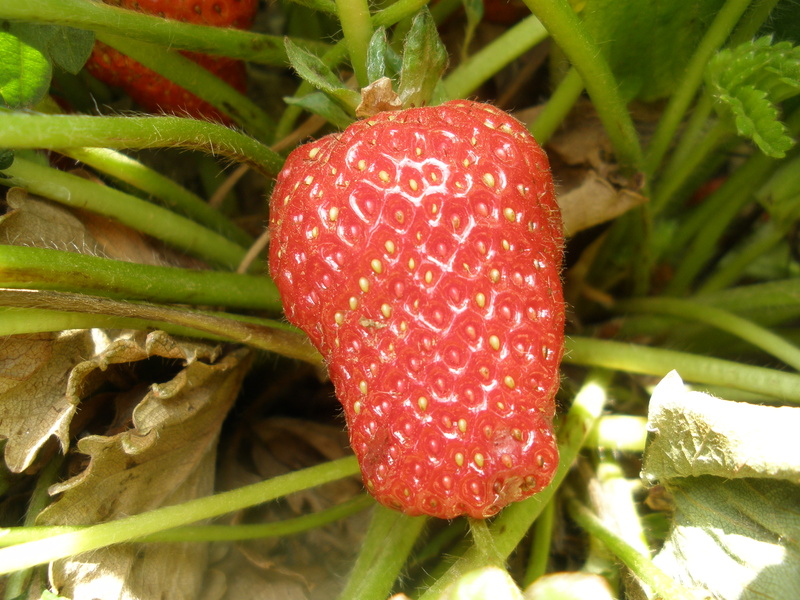 I’m dividing The Strawberry Challenge into 2 or 3 posts, because there’s a lot of material and lot of recipes to talk about! 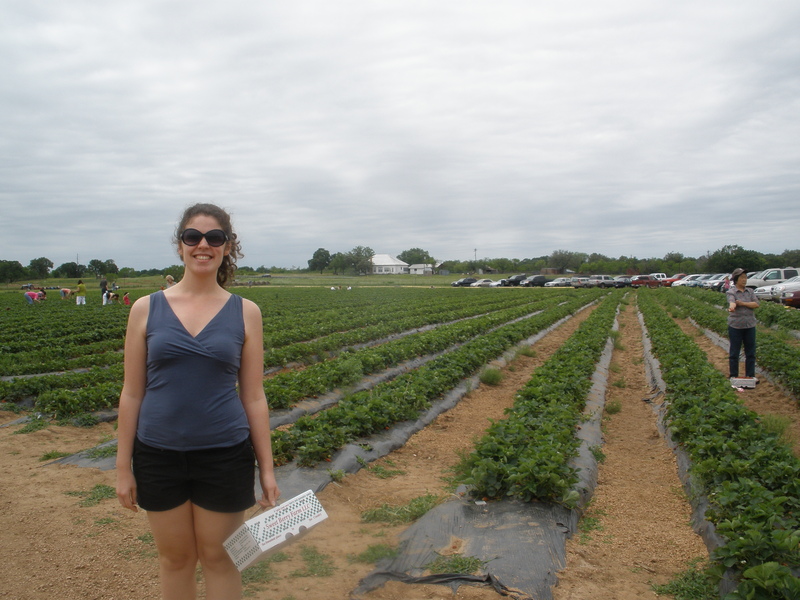 For my first blog post back from my long hiatus, I’m writing about and posting pictures of a strawberry picking excursion I made yesterday with a great group of foodie friends. 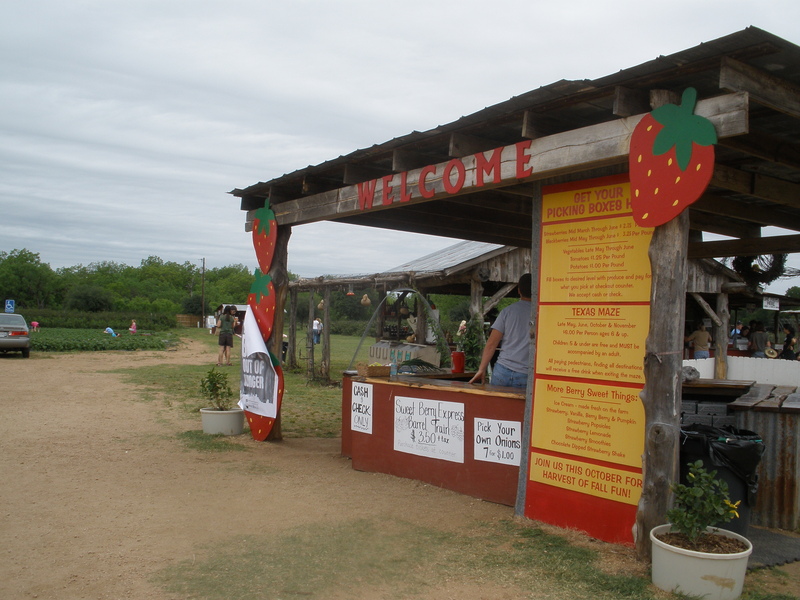 We went to Sweet Berry Farm near Marble Falls, Texas, where you pick your own berries. I’d never done anything like this before, with the exception of the hot summer wild blackberry picking I did in my Missouri youth. This whole experience has been great. I picked my own strawberries, got a little dirty, made my own jam and canned it, and found several other ways to use my berry harvest. It reminds me of summers at home, where my mom spent many hours canning or freezing to take full advantage of the garden’s bounty or neighbors’ generosity. 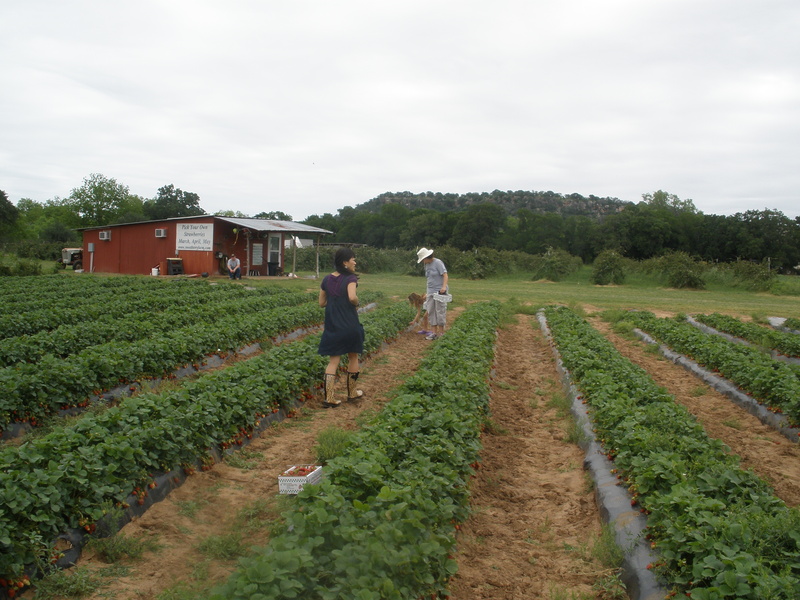 We grew tomatoes, peppers, sweet corn, and other vegetables, and got fruit, like blackberries, gooseberries, and strawberries from others in the area. I’m so glad I grew up in a family where I could experience such a direct connection to food. We picked up our boxes and headed out to start picking. I was so happy to be there! We had thought it was going to rain and thought about canceling. I’m so glad we didn’t because it turned out to be the most beautiful day! The boxes looked deceptively small. Without fully realizing how many berries I actually had, I went to pay for them to see if I could afford a second box. The first box weighed over 7 pounds…whoa! I bit the bullet and picked enough berries to almost fill a second box. I figured, I can’t get strawberries like this year round. Honestly, I wouldn’t want to. 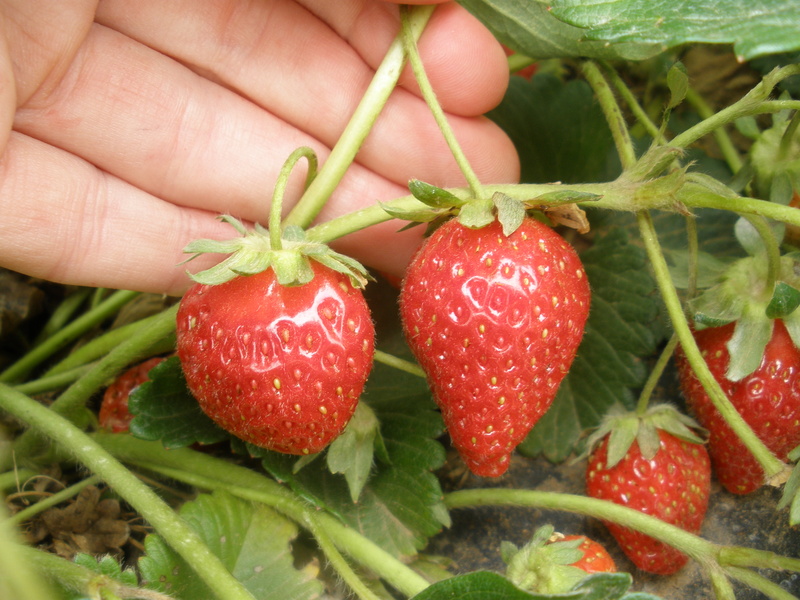 Having great strawberries for a short period every year makes them all the more special. 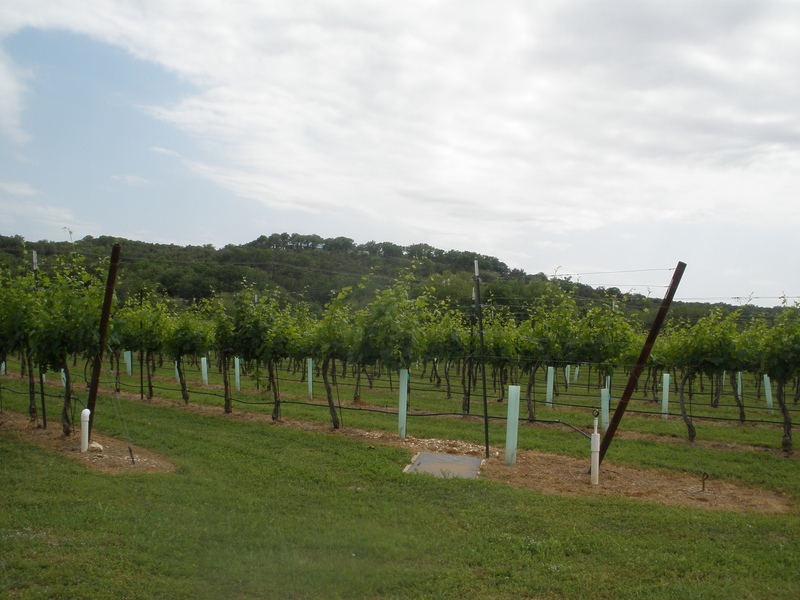 So, after paying for the berries and having a lovely picnic, some of us headed to Flat Creek Estate, a winery on the way back to Austin. It was beautiful! 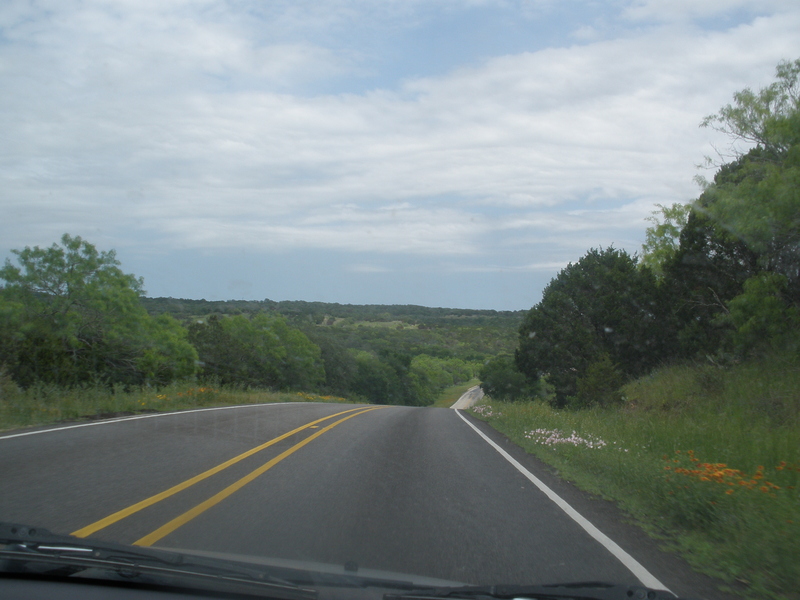 After wine tasting, we drove the rest of the way back to Austin, and then I made jam. I will write about that tomorrow. I’d never made and canned my own jam before, and I realized that it is, in fact, not that difficult. 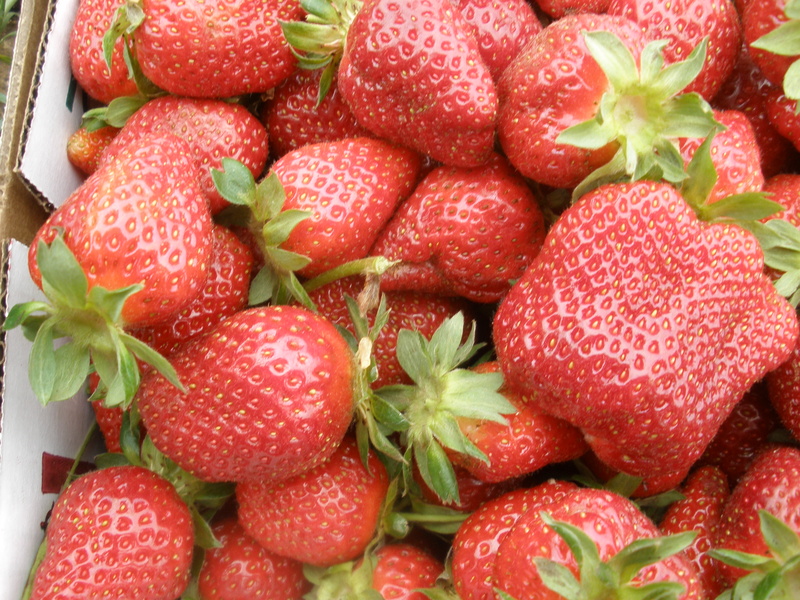 Until tomorrow, and The Strawberry Challenge, Part II.